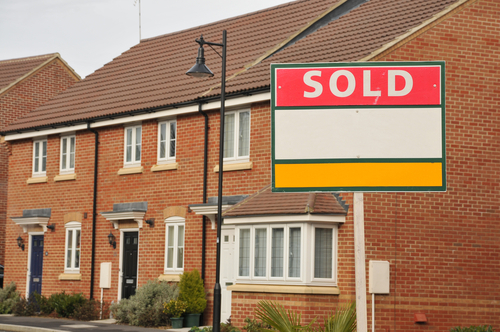 When buying a house with a mortgage, which type of conveyancing would you prefer? Joint Representation or Separate Representation? Access to Justice; for many local High Street law firms, conveyancing is a mainstay of their business. When a firm closes down because it has been excluded from the property market by the restrictive practices of the mortgage lenders, it doesn’t just take the conveyancing services with it, but access to all the other areas of law it once provided. The local economy; local firms play a vital role in the success of high streets and the small business economy. Under the current system, joint representation is the lender’s preferred choice and it is the most common arrangement used in the vast majority of transactions. It was introduced in the 1980s to bring about a smoother conveyancing process. The risk of conflict of interest between the borrower and the lender was minimal. But things have changed. There is one lawyer involved, acting for you and the lender. It doesn’t cost the lender anything when one lawyer acts for both parties because the cost of acting for the lender is included in your bill of costs. The lender is, like the buyer, a client, although it doesn’t pay the legal costs, it still has full rights of indemnity against the lawyer. When things go wrong, the lender is able to claim against the lawyer for any losses. Because the lender is considered a client, they have the right to choose who acts for them; therefore they are at liberty to decide who they have on their conveyancing panel. However that also enables them to control who acts for you, the buyer, giving rise to a potential conflict of interest. There are two lawyers involved. Lender and borrower/buyer have independent legal advice avoiding any conflict of interest. Both parties are free to choose their lawyers based on what is important to them; whether it is a local preference, previous dealings/history of transactions, the type of service – basic or top of the range, a face to face service or internet based. Significantly lowers the risk of mortgage fraud. The involvement of a 2nd lawyer is another safeguard against being unwittingly caught up in a fraudulent property transaction. For any lawyer to act for both parties requires the lender’s agreement. In the 1980s any conveyancing lawyer could be on a lender’s panel if they chose to be. But the lenders in the past two years have removed thousands of law firms from their panels, purportedly as part of their strategy to manage the risk of mortgage fraud. The culling of their panels also demonstrates the lenders’ preference for high volume, low cost, process driven, internet based conveyancing firms. This now means the chances of your local lawyer being on the panel are greatly reduced. As it is a requirement of the lender for the law firm to be on their panel, you the consumer are now restricted in who you can choose to act for you on one of the biggest financial and emotional transactions of your life. More than likely you will be offered an internet based conveyancer as first choice. Therefore it is really important that the buyer has access to independent legal advice when buying a property as the risk of conflict of interest is now growing. The lender has to be satisfied that they are able to recover their monies should the buyer not be able to keep up the mortgage payments. That was always understood as an acceptable risk. However the banking culture has changed and banks are not simply there to lend money. The lender has a vested interest in selling other products such as insurance and legal services. The work done on behalf of the buyer is somewhat different to the work done for the lender, even though they relate to the same transaction. The Law Society of England and Wales are also against Separate Representation that is why the campaign Big Banks Bad for Local Business is looking to government to make separate representation mandatory. We really value your opinion as so much is said “in the interest of the consumer”, but has anyone actually asked you what you want? Please read the Separate Representation Working Party Final Report from the Law Society of Scotland to help you be better informed about the facts. It is what YOU; the consumer thinks that is going to help make a difference.